Over the years we have assisted numerous trades people from various industries with their accounting, tax and financial affairs. 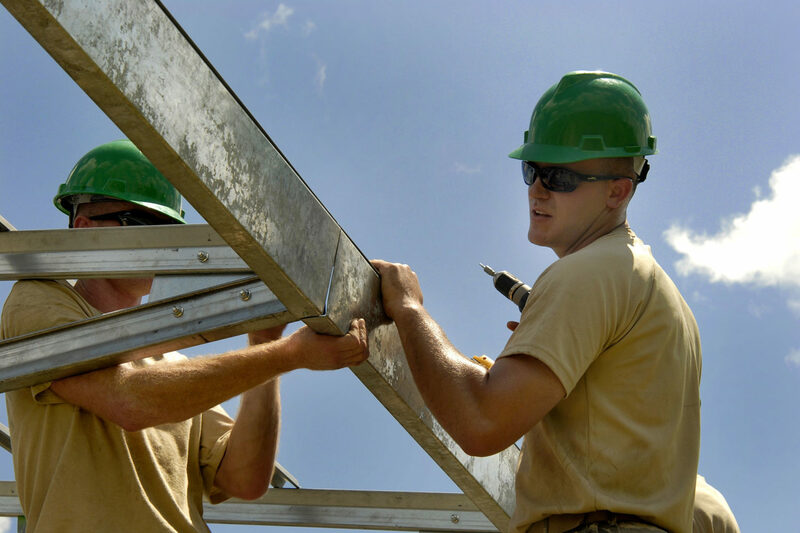 In fact, the building trades have become a real niche within our accounting firm. We work with our business clients to help you grow your business and your personal wealth, not just lodge your tax return and forget about it for another 12 months. With vast experience in the various building trades you can benefit from our industry knowledge and experience. Over the years we have mentored a large number of plumbers, carpenters, electricians, builders and subcontractors through the startup phase of their business. It is important that you receive the appropriate advice through this initial stage in regards to your business structure, website, branding, invoicing and accounting software selection. There are numerous compliance and regulations that you need to consider. Not only the usual small business compliance issues of GST, BAS, PAYG and superannuation, but also issues such as employing apprentices and the regulations you will need to comply with. We understand that it can be easy to ignore your bookkeeping and administration tasks due to the long hours and physical demands of your work. This is where we can help to make these tasks as hassle free as possible. We are able to give you the necessary training to complete your bookkeeping tasks, we also offer a full bookkeeping service if you wanted to outsource the bookkeeping function. We are also happy to liaise with your choice of bookkeeper if you already have one in mind. For tradespeople, some of the largest obligations are GST, BAS and tax payments. Despite this, many tradespeople still struggle to manage their tax affairs. As business startup specialists we can help you build a better, more profitable and valuable business by combining the knowledge of your industry with our consulting tools and marketing expertise. If you are looking to start a trades business talk to us about our comprehensive 45 page booklet, ‘Starting or Buying a Small Business’. It is a valuable resource available to clients and explores all the key business startup issues including alternative business structures, GST and tax registrations, record keeping, legal issues, claiming car expenses, finance, employing staff and preparing a business plan and cash flow budget. When starting any business, it is important that you start off on the right foot. It is crucial that you have the right business structure in place to not only ensure you receive the best tax outcome but also that your personal assets are protected. What functionality does your business need? What is your level of bookkeeping skill? After assessing your response to these questions, we can make a recommendation as to the most appropriate software for you. Xero, a cloud based option, has become one of the most popular choices when looking for accounting software. We are Xero Certified Advisors and can assist you with both setting up your file and the continued use. It is an easy to use program that allows you to do as little or as much as you want depending on your business needs. For any business marketing can be the difference between mediocre results and success, this is no different for tradespeople. With technology continuing to advance, your website and social media strategy are the two most important aspects to your marketing plan. We can help you with your branding and provide advice regarding your website’s features, functionality and content. We have worked with a number of clients, graphic artists and website development teams to create inexpensive, quality websites for our clients in the trades. If you need help to harness the power of social media to win more referrals we can also provide advice and direction. We believe our marketing skills set us apart from other accounting firms in Geelong. We recognise the importance of delivering timely, quality advice and services to our clients. We provide cost effective strategies and solutions and believe that our clients enjoy our support, guidance and accessibility.If you’re a trades person looking for practical, down to earth business advice and tax effective solutions contact us today. We are ‘business and profit builders’ who enjoy working with ambitious business owners looking to accelerate their business success. To take the next step we invite you to book a FREE, no obligation, one hour introductory consultation to discuss your business needs. You’ll get practical business, tax, marketing and financial advice that could have a significant impact on your bottom line. To book a time, call us today on 1300 789 844 or complete your details in the box at the top of this page.